An East Bay limousine company dons the same name as one under fire after a horrific crash that killed 20 people in New York, and now it says it is the victim of harsh but misdirected backlash. 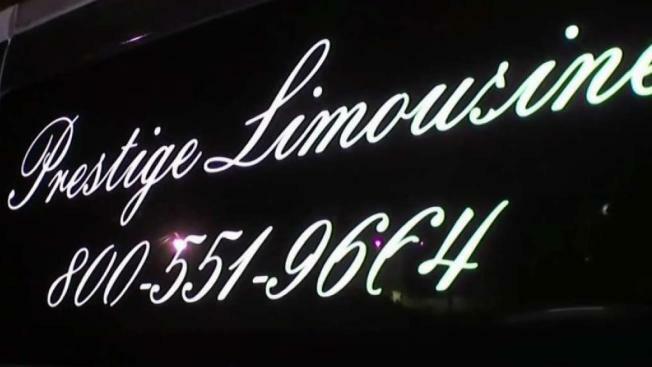 Prestige Limousine in Concord says it has zero connection with the tragedy unfolding in upstate New York, where all 18 limo passengers and two pedestrians died Saturday in a crash that involved a vehicle authorities say shouldn't have been on the road. As new details continued to emerge in the New York crash Monday night, the East Bay limo company wants to make sure people know it has no connection. "A lot of people have that; a lot of companies have the Prestige name," said Rebecca Satti, founder of the Concord Prestige. Satti said her company had a number of cancellations and even found pumpkins smashed against their cars Monday. "Even though we try to tell them we're not a part of that limousine company, a lot of people are hesitant," Satti said. Meanwhile, back in New York, thousands of people remembered the 20 victims, which include two men who worked at a New York office for Santa Clara-based GlobalFoundries. The investigation revealed the limo driver didn't have the proper driver's license, and the limo failed an inspection just last month. State Sen. Jerry Hill authored legislation in California after a limo fire on the San Mateo Bridge in 2013 in which five women in a bridal party died. "No one really paid attention to the structure of that vehicle, and that's where we really changed in California," Hill said. The law requires a California Highway Patrol inspection on all modified limousines every 13 months. "Not knowing whether that limousine was safe in 2013 when it was modified," Hill said about what prompted the new law. "But one would never know because it was never inspected after that, and that could have been over time those welds cracked, and that's what caused that fire." The 2014 law also requires limos to have two fire extinguishers on board at all times.